There are many places where you can catch a glimpse of the fireworks, but they are more often than not packed with people who reserve their spots as early as the day before. We always prefer enjoying the spectacular display in comfort, and that is when we think of our favourite dining haunts which offer an unparalleled view all the same. Here is our guide on waterfront restaurants to watch fireworks in Singapore. 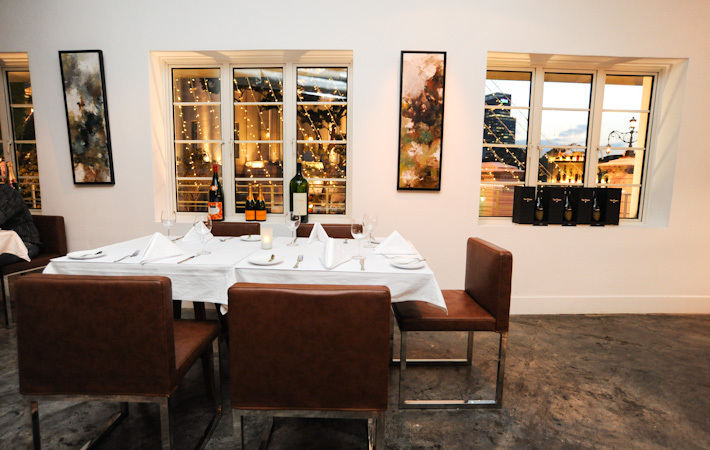 Located at the historial Fullerton Waterboat House, Boathouse is an intimate restaurant to go for that special occasion. Enjoy a romantic dinner at the restaurant before heading up to Prelude – the rooftop bar on the third floor – for drinks and to enjoy the splendid view. In the past two years, we have seen the opening of many Spanish tapas restaurants, and among them, Catalunya at Fullerton Pavilion is one of the fanciest spots to go for a glass of sangria and some tapas. The kitchen is helmed by the team formerly from elBuli Restaurant in Spain, so you can be assured that the food is always excellent. A meal at Catalunya is as much about the atmosphere and view as it is about the classic tapas it offers. It is perfect for a night’s out with your girlfriends, or a special date with your partner. Helmed by Chef Kentaro Torii (previously from Ochre restaurant), Forlino serves modern Italian cuisine with some Japanese touches. This is a place where you know everything will be perfect – romantic ambience, good Italian food, and a fantastic spot to admire the glittering Marina Bay skyline. Funky, playful and full of energy, Kinki Japanese Restaurant combines modern Japanese cuisine with an extensive drink list. The rooftop bar at the top of Customs House is one of the best vantage points to watch fireworks in Singapore. 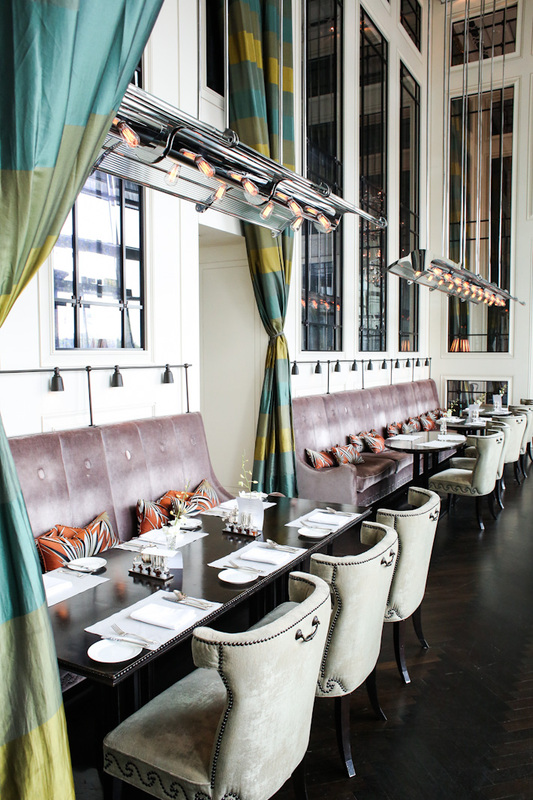 What we love most about La Brasserie, other than its exquisite offerings, is that it is effortlessly chic and a gorgeous place to dine in. 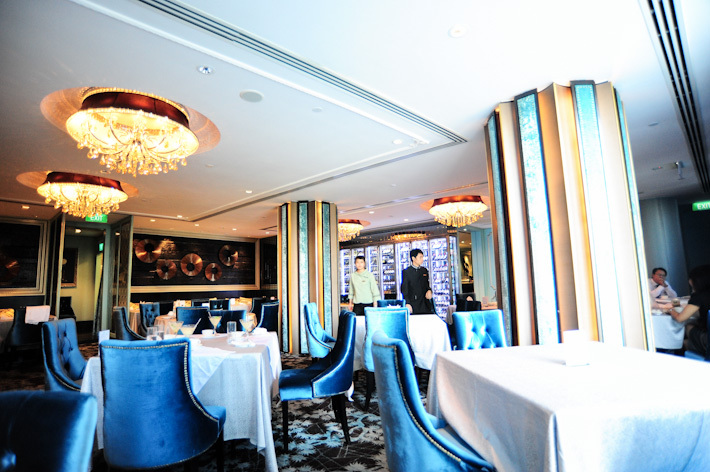 This restaurant at Fullerton Bay Hotel is a venue that works perfectly for all occasions – be it a business luncheon with work associates, a gathering with your pals, or a romantic date with your partner. The outdoor dining area of La Brasserie offers a marvellous view of the entire Singapore skyline, making this the perfect place to watch fireworks. With its prime spot at the top of The Fullerton Bay Hotel, the Lantern Bar is one of the best rooftop bars in Singapore which is an extremely popular after work drinks venue in Singapore. 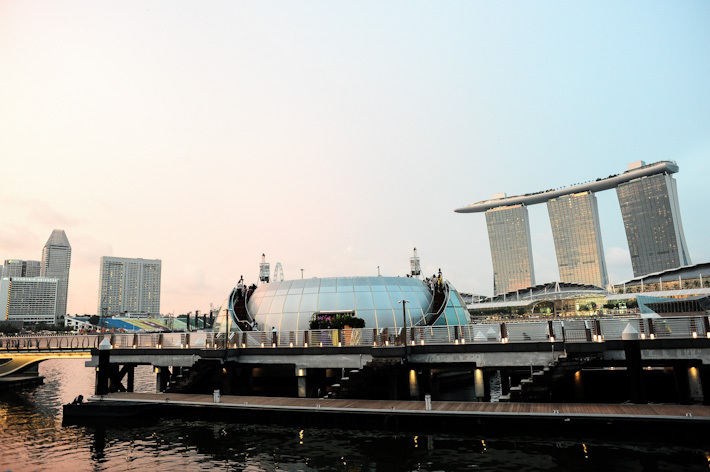 With an unobstructed view of the Marina Bay area, this is the best place to go for drinks and enjoy the beautiful fireworks on festive occasions. 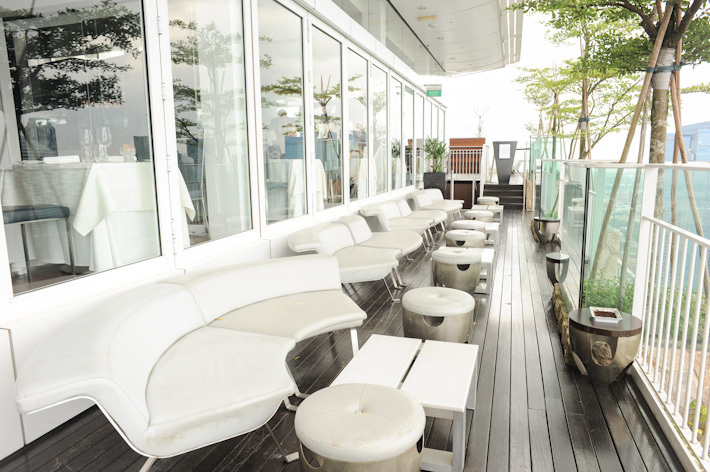 Located on top of The Esplanade, Orgo bar has a great view of Singapore’s beautiful skyline. 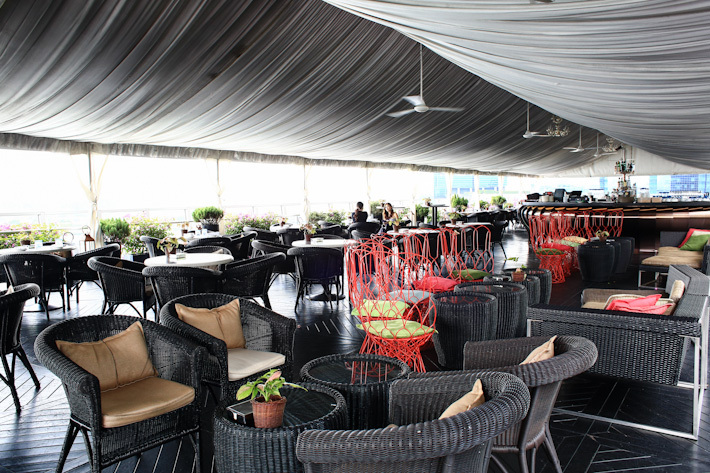 The rooftop terrace bar is known for its extensive list of original mixology and classic drinks. 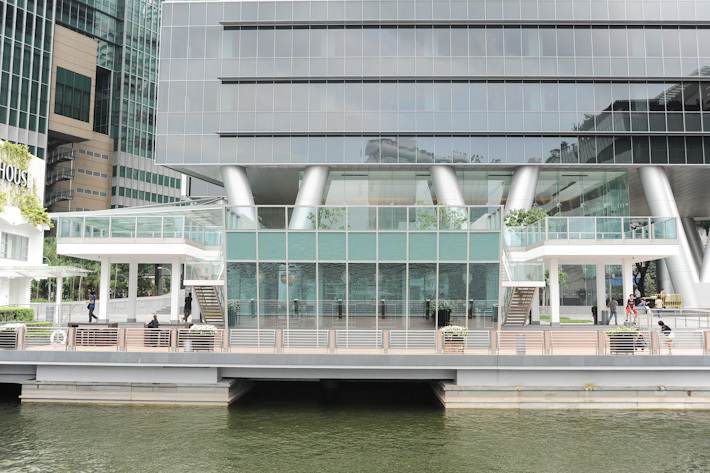 Located beside the Fullerton Bay Hotel, the Oyster Bar is a gorgeous standalone building with full-length glass windows that overlook the waterfront. 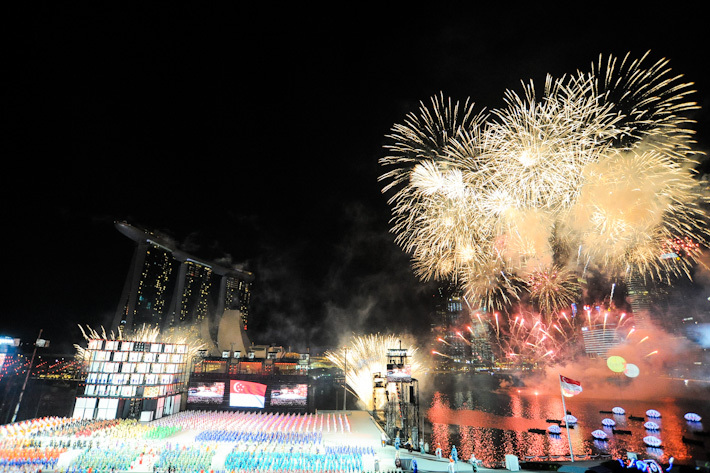 It is one of the best places to watch fireworks in Singapore while sipping champagne and slurping oysters. Regular readers will know that I am a fan of Paradise Pavilion at Marina Bay Financial Centre. 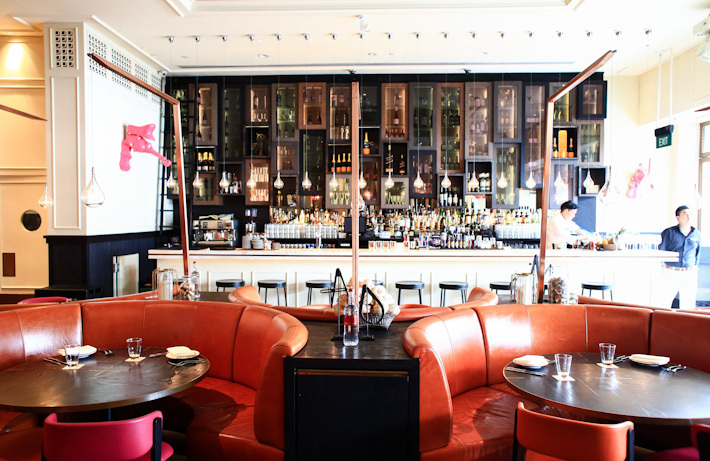 Not only is it one of the most gorgeous Chinese restaurants in town, it also serves Chinese food of unimpeachable quality. I have been to Paradise Pavilion on several occasions, and they have always maintained a high standard. Paradise Pavilion on level 2 of Marina Bay Link Mall has an excellent view of the Marina Bay area – definitely the place to go to watch fireworks on National Day, New Year’s Eve and Chinese New Year. Tucking in to a scrumptious seafood dinner while watching the fireworks sounds like the formula for a perfect evening. Palm Beach Seafood Restaurant at One Fullerton is an established name in the local dining scene, and the food is consistently good. Be it a gathering with family, or entertaining your clients, you can never go wrong with Palm Beach Seafood. Located along the Marina Bay Sands Promenade, Southcoast is an Australian bistro that offers salads, pizzas steaks or the traditional fish and chips. Sky on 57 may not be located along the waterfront, but with its position at sky park on level 57, it has one of the best, if not the best, view of the fireworks. 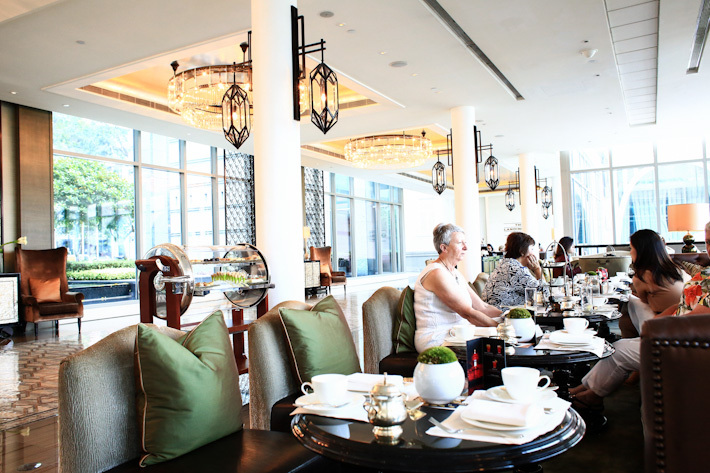 One of our favourite afternoon teas in Singapore, The Landing Point at the lobby of the gorgeous Fullerton Bay Hotel commands a good view of the waterfront, and is an ideal spot to escape from the crazy crowd. Indulge in delicious cocktails at the chic and swanky bar as you enjoy the captivating fireworks. Located at One Fullerton, The Pelican Seafood Bar & Grill has an inviting setting with plush sofa, and wall panels that are made of copper plates, and they look like pieces of glitters. Not to mention that it also has the perfect spot to watch fireworks. Perched at the top floor of Ocean Financial Centre, Zafferano not only offers hearty Italian fare, but also a panoramic 270-degree view of Singapore’s skyline.